Farms are a dangerous place, especially for children. Multiple research studies show that at least 300 children die each year on a farm. Almost 25,000 children are injured. Many of these injuries incur lifelong disabilities. This is why parents should be aware of farm dangers in relation to children. Unlike other industries, which have age restrictions on workers, farming does not. Children under the age of five to adolescence are vulnerable to injuries or death while living and working on a farm. Toddlers and preschoolers under the age of 5 are most in danger of being injured while playing or riding on farm equipment. At this age, children will climb, walk and run without care. This age group has a short memory and test boundaries. Studies show children in this age bracket learn by trial and error. They especially have a fascination with moving parts. These parts can be seen on PTOs, belts, and corn going in an auger. A child can become too close while investigating and become seriously injured. 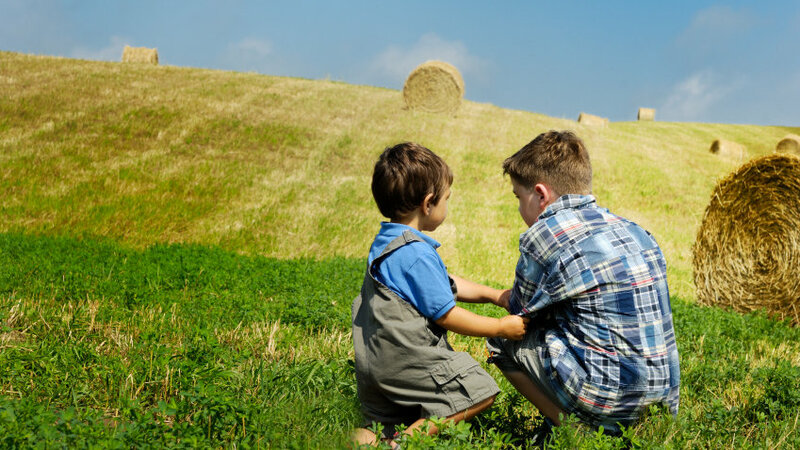 From the ages of 6-11, children begin to play less on the farm and begin to work more. They show more comfort level and will begin exploring their environment independently. Additionally, pleasing their parents means a great deal at this age. They eagerly want to complete chores, even those that may be outside their skillset. Telling their parents “No” is not an option. Furthermore, they don’t have the experience to know when a task is beyond their capabilities. This is a recipe for many accidents to occur. For example, a tired or weak child, who has been doing demanding chores all day is more likely to become entangled in farm machinery. Almost all of adolescents age 12-16 work on the farm where they live. Thus, a majority of the injuries sustained are work-related. In their personal life, peer pressure plays a large part along with a fear of failing in front of their friends and family. In a farming community, these young adults want to appear confident and knowledgeable. This can lead to risky behaviors with the intention of impressing their friends. In a farming community, these young adults want to appear confident and knowledgeable. This can lead to risky behaviors with the intention of impressing their friends. Age should not be the only factor when choosing the right job for an adolescent. Maturity, judgment, and size of a child should be considered.